Redding Method is a dynamic protein fiber dyeing methodology based on science and artistry that allows us to reach bright, intensive and consistent colors. Students will learn the basic principles and tenets that will allow them to reach these very deep colors. Redding Method is a new approach to dyeing. Throw away the tablespoon and cup measure! 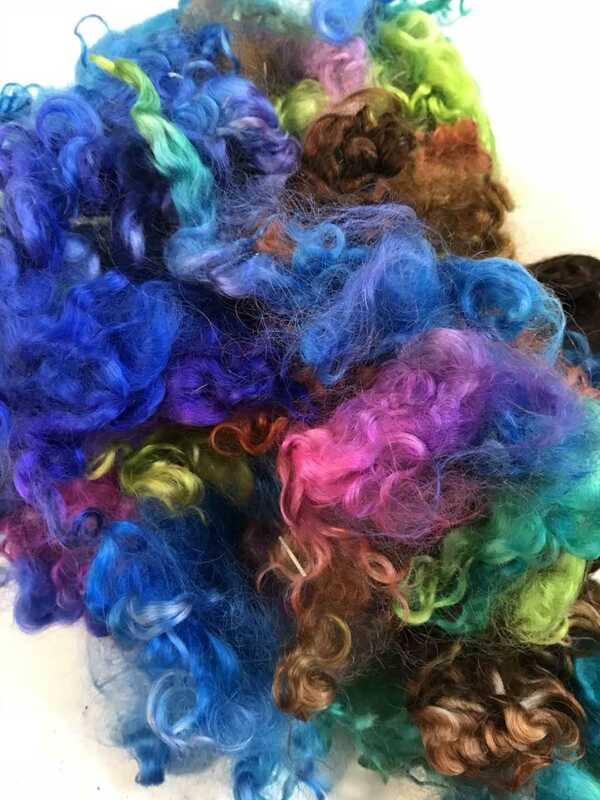 By using Redding Method principles in the workshop, students will dye their own pot of raw protein fibers and will reach these colors. Afternoon Session; Let’s do it! Date: Saturday, April 7, 10:00 a.m. to 4:00 p.m.
Students should bring a 12 to 20-quart soup pot, pencil and paper, and lunch. Please call Lois Ann Mittleman to register for this workshop at 321-795-0509. Workshop fees are due at registration. Lois has been involved in fibers since the 1980’s. She weaves, makes baskets, creates jewelry, spins and knits. She received her Redding Method Master Dyer Certificate and recently became a Redding Method Certified Teacher. Lois loves creating the bright, intense colors that Redding Method makes possible. You can do it too!